The United Nations High Commissioner for Refugees (UNHCR) representative to Nigeria and Economic Community of West African States (ECOWAS), Antonio Jose Canhandula has advised the Nigerian government on the best way to tackle the spate of insecurity in the country, particularly in the north east. The UN scribe in an exclusive interview on Monday, April 15, at an ECOWAS Ambassadors Retreat in Uyo, Akwa Ibom state, said that the problems of Boko Haram and insecurity in Nigeria are best tackled with increased social and economic inclusion of citizens by the Nigerian government. Despite the initial gains recorded in the fight against Boko Haram, Nigeria has witnessed increased attack by the terrorists in recent times with huge number of people displaced within and without the country. 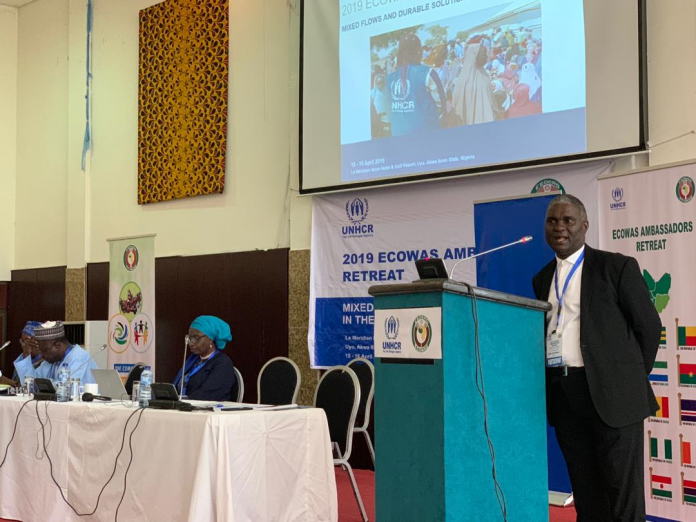 The Boko Haram crisis, together with other insecurity problems bedeviling other parts of country and across the West African sub region is one of the major discourses at the ECOWAS Ambassadors retreat which will end tomorrow, April 16, 2019. However, Antonio has lend his voice to recognizing the important role that social and economic integration of populations play in solving insecurity problems such as the Boko Haram crisis. 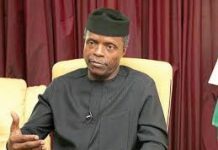 “Government can only address the nuisance constituted by Boko Haram and insecurity in the north east by encouraging social and economic inclusion of populations,” he stressed in an interview. He further urged the federal government to be more holistic, and dogged in confronting the insecurity challenges in the country particularly in the north east adding that the humanitarian approach is never going to solve the problem. “You cannot resolve the situation by thinking that the humanitarian approach to the problem is the one that is going to solve it. The humanitarians are there to prevent the situation form worsening but that is not the solution and we will never be the solution. The solution is for government to come and deal with the issues that affect their population. “Look, the Boko Haram crisis has been there for 10 years now. If someone was four years, 10 years ago at the age of going to primary school, today the person is 14 years and is meant to be in secondary school but most of the children out there have never gone to school by the age of 14. What are we looking at in terms of future? How are these children going to behave in the society if they don’t have education and the means? It is correct to say that the best approach will still be the political approach and not relying on the humanitarians who are to complement the efforts of the government,” he said. He called for increased involvement of other institutions of government to complement the efforts of the military in the war against terrorism adding that humanitarian stakeholders and actors are ready to offer their support if government wants to reconstitute its security architecture. 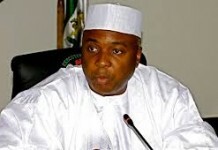 “..some of us are just there to provide the necessary support for the government to reconstitute its security but Nigeria is not working alone because security is not limited to Nigeria. It actually affects the entire region and the region has shown a good example by constituting a Multinational Joint Taskforce (JTF). So the effort is there and if you will, there is also regional shaking of hands. “It is not like it is not there, it is there but what we think is that the military efforts at dealing with insecurity needs to be complemented by economic, and political measures which are definitely beyond the UN agencies like ours. That is why we are actually urging the ECOWAS Ambassadors that they should treat the issue of youths, and identification as issues that needs to be dealt with if you want to deal with security,” he concluded. Meanwhile, previously reported that President Muhammadu Buhari has expressed his commitment to facilitate the prompt release of the remaining Chibok girls from the den of their kidnappers, Boko Haram. The president made this known in a statement by Garba Shehu, his senior special assistant on media & publicity in Abuja on Saturday, April 13, on the anniversary marking fifth year the school girls were abducted from their dormitory in Chibok community.